Troop 200 was founded in January 2006 by five scouts who wanted to be part of a truly special troop with a renewed emphasis on the core Scouting values of honesty, responsibility and respect for others. 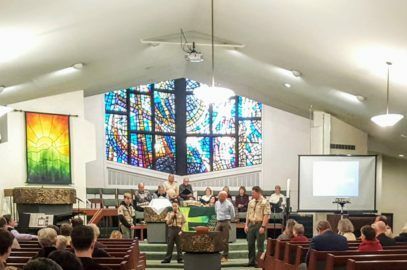 Troop 200’s membership has grown to over 70 scouts and has developed a solid legacy of community service and commitment to the Scouting organization. Troop 200 has earned many awards, including the BSA Gold Journey to Excellence, the prestigious BSA Silver Ready & Prepared Award, and the BSA Good Turn for America Award. We are active participants in Order of the Arrow, Scouting’s National Honor Society. For the first time in its 100+ year history, the iconic program of the Boy Scouts of America is open to young women as well as young men, all of whom will have the chance to earn Scouting’s highest rank, Eagle Scout. Scouts BSA is a year-round program for youth in fifth grade through high school that provides fun, adventure, learning, challenge, and responsibility to help them become the best version of themselves.